Curt Schilling made controversial comments about Hillary Clinton. ESPN baseball analyst Curt Schilling appeared to violate the network's guidelines when he told a radio station that Democratic presidential candidate Hillary Clinton should be "buried under a jail." ESPN said Wednesday, "We are addressing it" and would not go into further details. Schilling, however, said jokingly at the end of the radio interview that he would "probably get fired." The former all-star pitcher made the controversial comments Tuesday with 610 sports radio in Kansas City, Missouri. Schilling, who has been known for his outspoken political comments, was asked if Clinton should go to prison for accusations that she put classified State Department emails on a private server. "I hope she does. If I'm going to believe, and I don't have any reason not to believe, that she gave classified information on hundreds if not thousands of emails on a public server after what happened to General Petraeus, she should buried under a jail somewhere," Schilling said. When asked about the possibility of Clinton vs. Donald Trump in the general election, Schilling responded, "If she's allowed to get to the general election before she's in prison, I'll be stunned and I'll be upset." The State Department has been conducting a review to determine if she posted classified emails on her private server. The massive review has found nearly 2,000 emails on her server that were retroactively classified. Schilling was also critical of Trump saying at one point that the GOP frontrunner hadn't "elaborated on two sentences of policy." 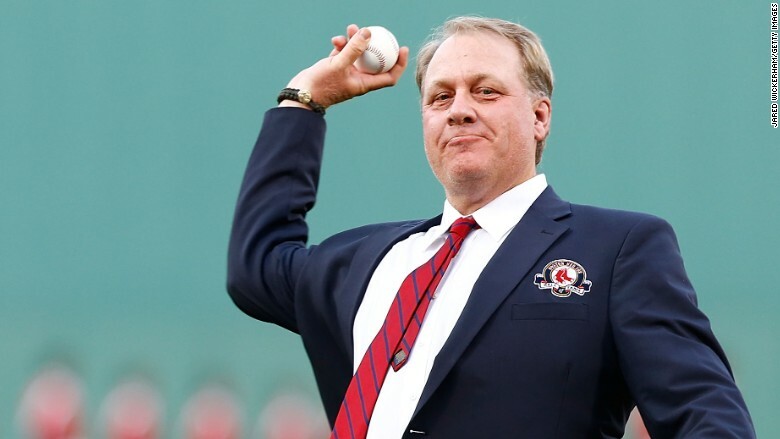 Schilling's comments appear to violate guidelines issued by ESPN in January for its employees. In the guidelines the network noted that employees "should refrain from political editorializing, personal attacks or 'drive-by' comments regarding the candidates and their campaigns." This isn't the first time Schilling has caused a backlash with his political comments. The former pitcher was benched by ESPN in August while covering the Little League World Series for posting a meme that compared Muslim and Nazis. The channel later extended the suspension for the remainder of the MLB season. Schilling is part of ESPN's Monday Baseball team. He previously worked on Sunday Night Baseball. He has been with ESPN since 2010.